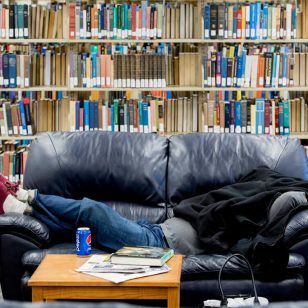 As a college student in America, at any given moment, there is probably at least one book in your backpack, not to mention the countless books on shelves in your home. Now, imagine wanting to read, but not having the resources to do so. The group of Central students stands in front of the library in Gulu, Uganda where they made improvements. 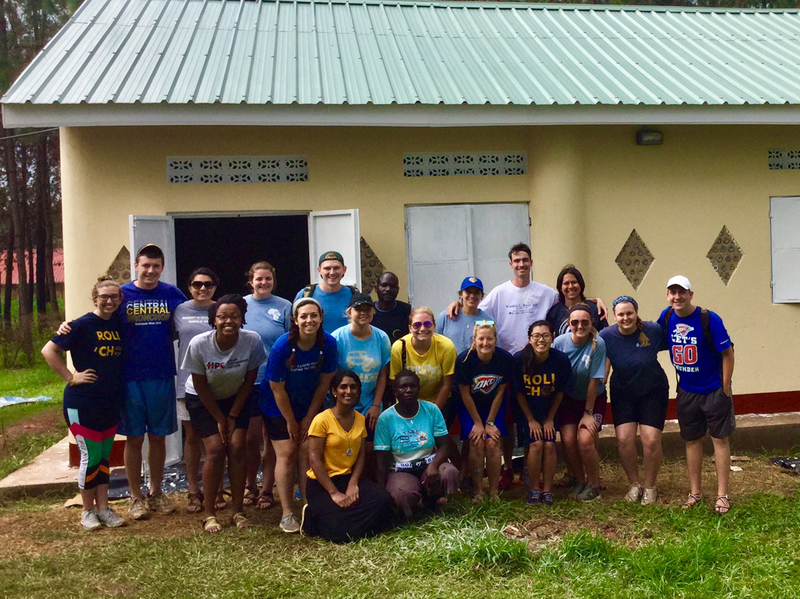 This summer, as part of a study tour, a group of UCO students traveled more than 8,000 miles across the world to serve the Ugandan community and provide maintenance for a new library that had been built at the St. Monica vocational school in Gulu, Uganda. This library was built thanks to the generous support of the UCO community. Last semester, the same group of students hosted a gala and organized a T-shirt fundraiser for St. Monica Girls’ Tailoring Centre, with the help of Sister Rosemary, the director of the center, all to assist with literacy efforts in the area. The St. Monica Girls’ Tailoring Centre is a safe-haven for young women who have been subjected to horrors such as abduction, torture and more, as well as being forced to injure or kill family members while serving as soldiers in Kony’s army against their will. With more than $12,000 in raised funds, the students set off to give their time and efforts to the Ugandan community. 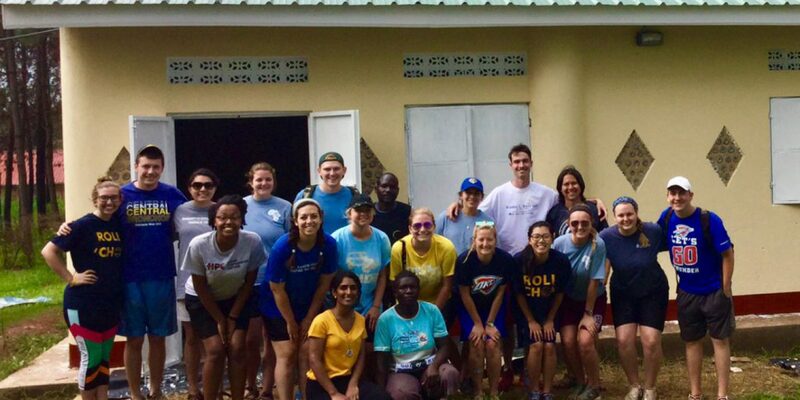 During their time in Uganda, the students helped sand, prime and paint the new library in St. Monica’s convent. 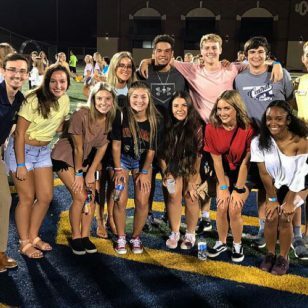 In addition to helping abroad, the UCO students helped foster growth and leadership in students of all ages within the metro community, by engaging the students of Belle Isle Middle School in Oklahoma City. The middle school donated enough books to fill 23 suitcases, which then were taken to Uganda during the UCO trip. 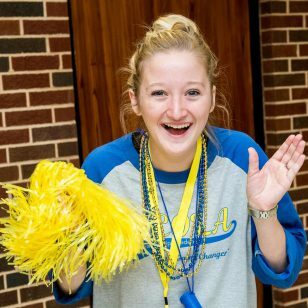 Student body president Stockton Duvall attended the study tour and described the valuable experience. 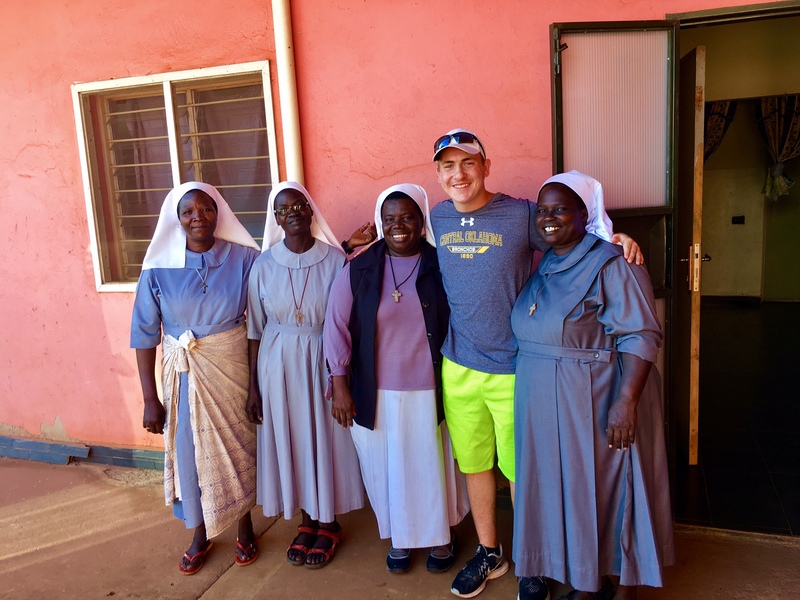 Stockton Duvall, student body president, stands with women from St. Monica’s in Gulu, Uganda.